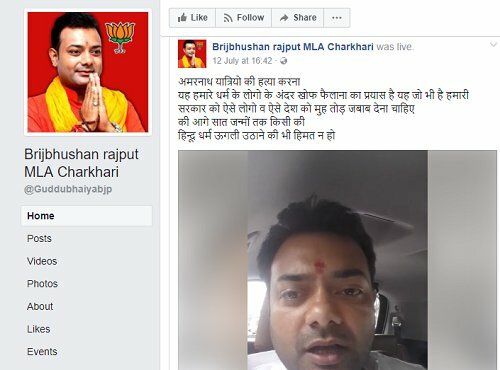 BJP MLA, through a facebook post, had threatened muslims that if they hinder in the construction of Ram Temple, they will not be allowed to go on hajj. He also tried to call upon people to take revenge of Amarnath Yatra attack. He demanded to remove the subsidy on hajj and repeal the minority status of muslims.